Nobody, especially young ones should miss out on the fun at Easter time. 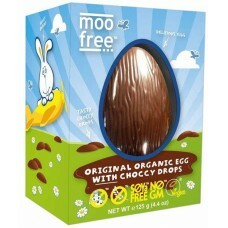 Moo Free Easter eggs are made using multi-award winning organic rice milk chocolate. 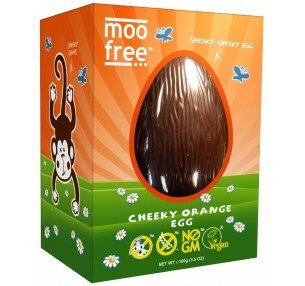 The dairy free and vegan Easter eggs are perfect for kids or adults of any age who have food allergies, are vegan or simply enjoy fun, quality chocolate. Inside the colorful box you will find a dairy free, gluten free and soya free Easter egg, along with a bag of choccy drops. Enjoy an organic, milk chocolate tasting, dairy free Easter! 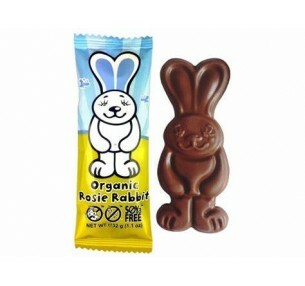 Meet Rosie Rabbit, the cutest little chocolate bar are made from Moo Free's multi-award winning,..